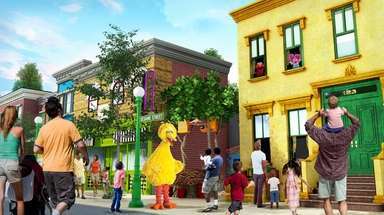 Take a day - or a weekend - to celebrate at these family-friendly events in the Northeast. Mushrooms, oysters, art, wine, blazing pumpkins, leaf peeping, music: the fall offers up a cornucopia of cool weather experiences all over the northeast United States. 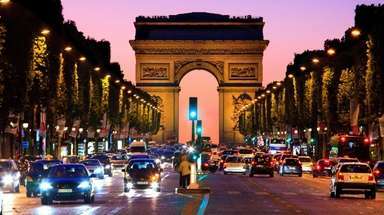 Here are nine that call out for a family road trip in September or October. 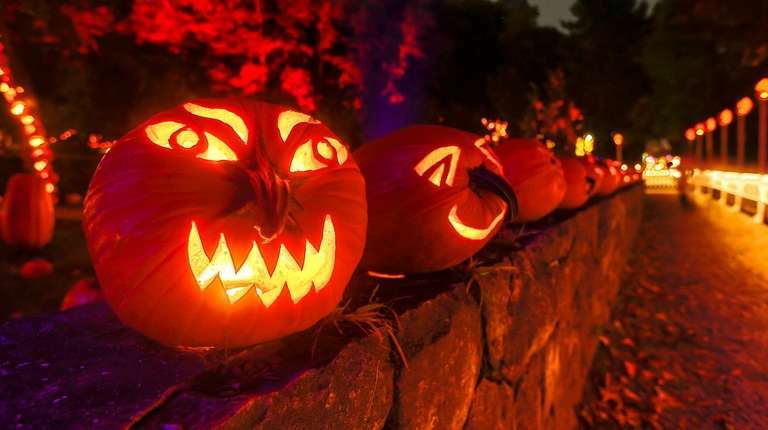 There are illuminated hand-carved pumpkins galore at one of the most popular fall festivals in the Hudson River region that Washington Irving, author of “The Legend of Sleepy Hollow,” called home. Wander down Pumpkin Promenade, cross the Pumpkin Zee Bridge and see a Statue of Liberty made entirely of jack-o’-lanterns. Nearby, Historic Hudson Valley operates Irving’s home, Sunnyside, a fantastic companion tour to a festival that puts one in mind of the Headless Horseman. Stay at beautifully landscaped Tarrytown House, a former conference center that now caters to the leisure traveler. The event sells out quickly, so order tickets in advance online. L.L. Bean and rubber boots go together like clams and chowder — at least when the weather turns cooler on the coast of Maine. 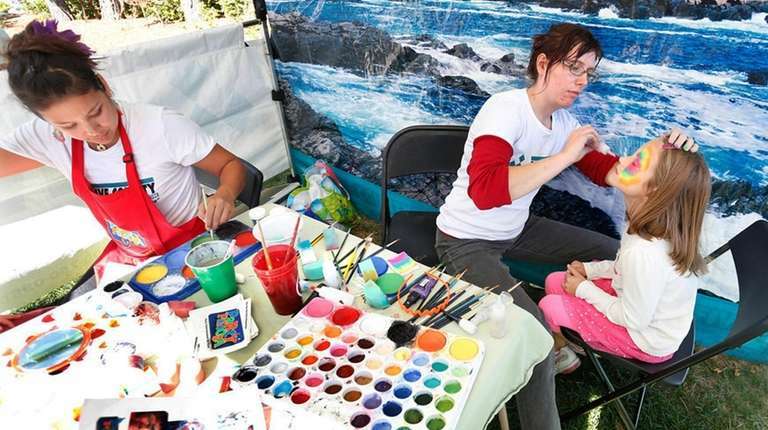 The Visit Freeport visitors bureau brings together more than 150 of the best New England artists, craftsmen and local food producers for a three-day festival on the L.L.Bean campus, which takes up nearly the whole town. Stay at the iconic Harraseeket Inn — right in the middle of the action. 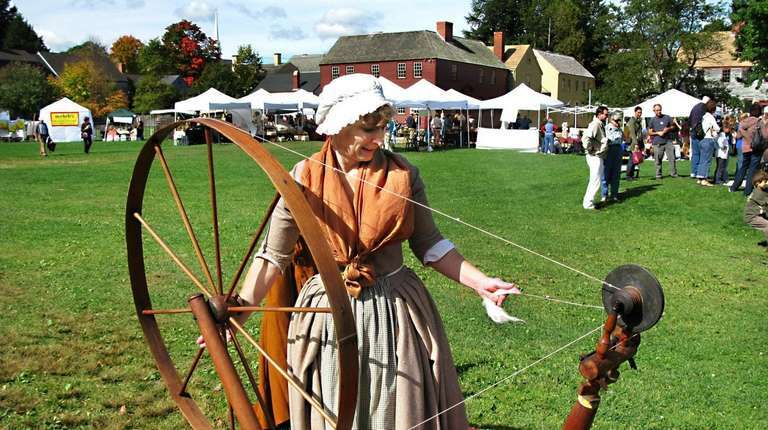 This festival at the 10-acre Strawbery Banke Museum features as part of its living history a traditional New England country fair complete with demonstrations from craftspeople, heritage breed and livestock demonstrations, presentations on heirloom seeds and food preservation tips, fiber arts, historic crafts and industries, coopering, candle-making workshops and garden tours. 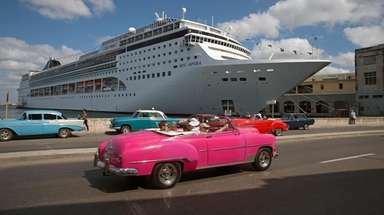 Portsmouth salutes it’s maritime and beer-brewing history with plenty of walking, bike, van and boat tours. Stay at the charming Martin Hill Inn bed-and-breakfast or the new Hampton Inn downtown. Chances are there wasn’t much wine being passed around at the original Woodstock Music Festival at Yasgur’s Farm (now Bethel Woods). But, all those hippies have grown up and most likely savor the fruit of the vine. 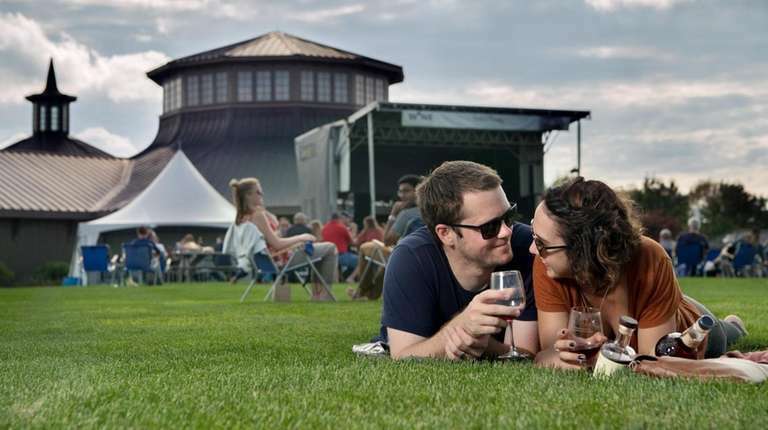 Sip the finest wines from the Hudson Valley and Finger Lake regions while listening to live bands in the very place where 400,000 people gathered for “three days of fun and music, and nothing but fun and music” in 1969. Bethel Woods maintains an excellent museum that plumbs the zeitgeist of the 1960s and the Woodstock Festival itself. And yes, it’s got a Magic Bus. Stay nearby in Livingston Manor at The DeBruce, a funky, artsy hotel. To take advantage of peak-season fall foliage and to get ready for ski season, this festival features free outdoor concerts, tent sales, a ski swap, a 5k road race, a 1.6k fun run, a 10-mile trail race, kids’ games, pumpkin painting and more. 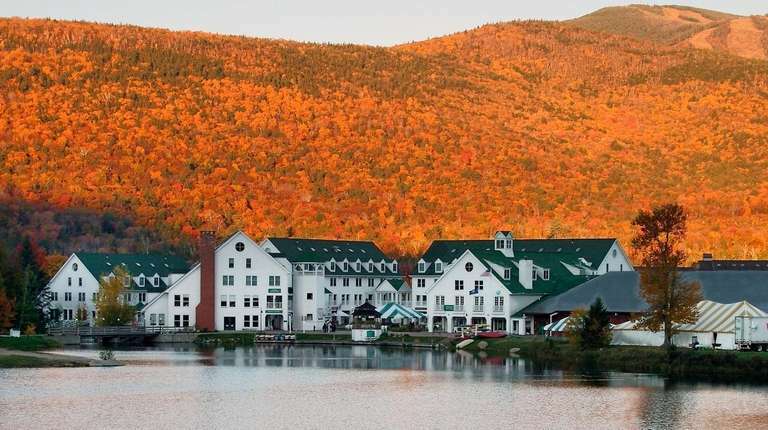 A self-contained all-seasons resort, Waterville Valley offers an array of accommodations, mostly in privately owned condos. Newport is better known for its Gilded Age mansions and America’s Cup yachts than for its seafood. 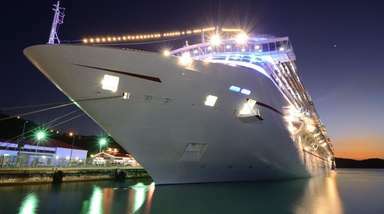 But its location on the Atlantic Ocean screams fresh fruits de mer. So every fall, Newport honors the “Harvest of the Sea” at the Bowen’s Wharf Seafood Festival. 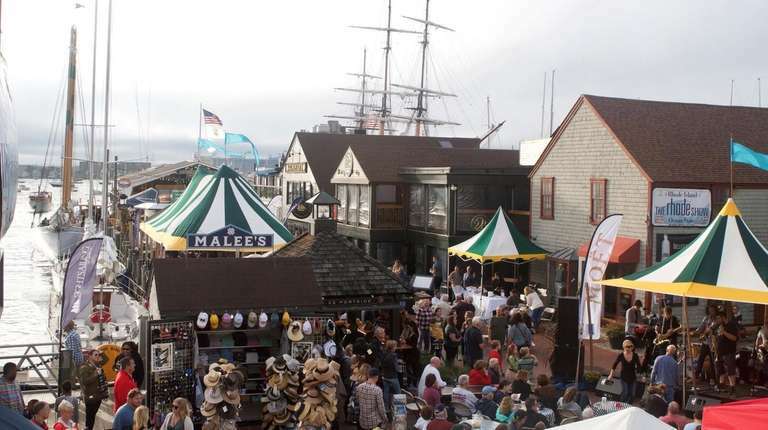 Among the dishes served up by Newport’s best restaurant chefs under tents on the wharf: fish tacos, lobster rolls, fried calamari, oysters, steamers, chowder — anything pulled from a line, net, rake or trap is on offer here. Add craft cocktails and Whaler’s Brewing beer, and you’ve got yourself a ready-made party. Proceeds benefit The Oliver Hazard Perry, Rhode Island’s new 200-foot official sailing education vessel, which will be at Bowen’s Wharf Marina and available for visits. Stay in luxury at the elegant Castle Hill Inn, or in town at the Attwater, a fashionable boutique hotel. 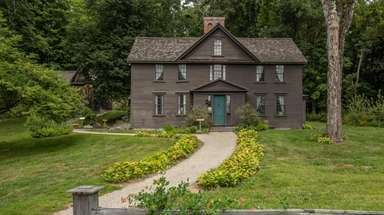 Costumed historians at the Strawbery Banke Living History Museum interpret 300 years of Portsmouth history in authentic homes and buildings, and some of the specters that roam and haunt these cobblestone and brick streets at Halloween just might be that old. The ghosts of 17th and 18th century sea captains, shopkeepers and pirates keep adults entertained as kids trick-or-treat safely from building to building. 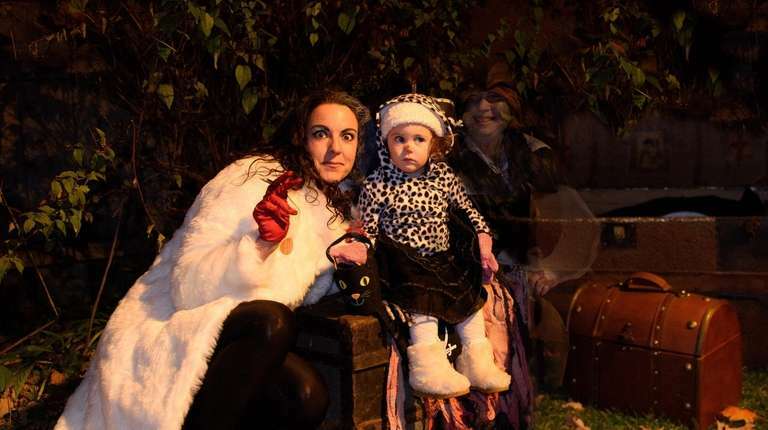 Ghost stories, bonfires and special treats keep kids and their parents ghoulishly happy. Stay at the downtown Hampton Inn or at the more intimate and endearing Martin Hill Inn. 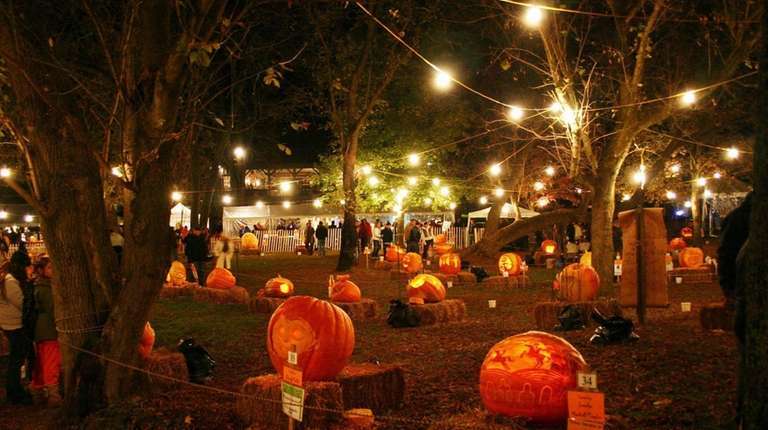 There are illuminated hand-carved pumpkins galore at one of the most popular fall festivals in the Hudson River region Washington Irving, author of “The Legend of Sleepy Hollow,” called home. Wander down Pumpkin Promenade, cross the Pumpkin Zee Bridge and see a Statue of Liberty made entirely of jack-o’-lanterns. Nearby, the Historic Hudson Valley, a nonprofit group, oversees Irving’s home, Sunnyside, a fantastic companion tour to a festival that puts one in mind of the Headless Horseman. Stay at beautifully landscaped Tarrytown House, a former conference center that now caters to leisure travelers. The event sells out quickly, so order tickets in advance online. This fall festival has famous artist cred. In the early 1970s, artists Jimmy Lynch, Andrew Wyeth and Andrew’s son, Jamie, were asked to carve decorative pumpkins for the Chadds Ford Inn. From these humble beginnings, The Great Pumpkin Carve has expanded and moved to the grounds of the Chadds Ford Historical Society to accommodate all who wanted to watch artists at work. This year, more than 60 amateur and professional carvers will sculpt, saw and chisel giant award-winning pumpkins (weighing up to 400 pounds) as crowds of locals and visitors look on. While you’re here, take advantage of the rich culture of the Brandywine Valley — including the Brandywine River Art Museum, where you can see the work of three generations of Wyeths; the stunning blooms and fountains on the 400 acres of Longwood Gardens; and Winterthur, the showcase DuPont mansion with a museum and gardens. Stay in Wilmington, Delaware, at the renovated Hotel DuPont, or in the homey 1860 Faunbrook B&B in West Chester, Pennsylvania. Portland has earned its reputation as a “foodie” town. Toss a toque on any block and you’ll hit a James Beard Award nominee or winner. So sign up for one of the events at Portland’s Harvest on the Harbor that pays tribute to a culinary culture par excellence. From evening wine and spirits tastings ($50-$65) to a multicourse lobster luncheon ($95), market bites ($40), oyster fest ($55-$75) and more, you’ll sample a range of creations from the city’s best chefs. Stay 10 minutes out of town at the upscale, dog-friendly Inn By the Sea in Cape Elizabeth, or at the quirky Higgins Beach Inn in Scarborough. Think Hersheypark shuts down after summer? Think again. Yes, the water rides are turned off, but 55 attractions, including 13 roller coasters, are still running on weekends through early November. Hershey ups the thrill factor in October by turning off the lights on three wooden roller coasters an hour before closing and keeps riders on the indoor Laff Trakk Coaster completely in the dark throughout operating hours. Of course, this being Hershey at Halloween, there’s candy galore. 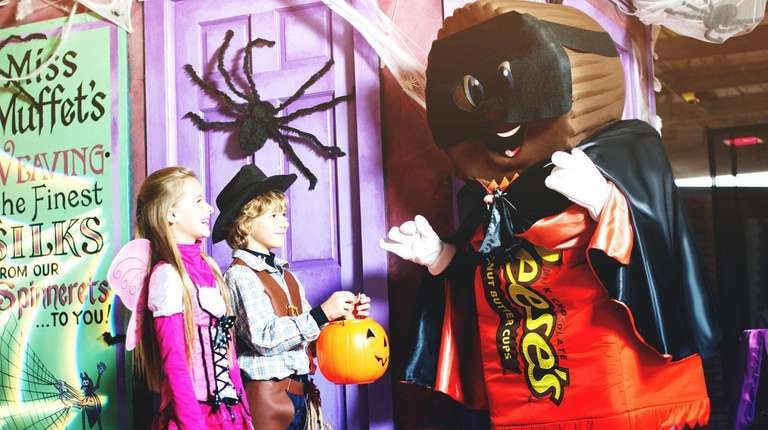 Kids under 12 are encouraged to come in costume for free treat bags they can fill on a Trick-or-Treat Trail that runs through Hersheypark, ZooAmerica and Hershey’s Chocolate World. There’s a Character Glow Party and live entertainment featuring the Screaming Mummies. Bring a flashlight and stay after 6 p.m. for the Creatures of the Night Experience at ZooAmerica, included in the admission for Hersheypark in the Dark. Stay high end at the historic Hershey Hotel, or at the more modern and family-friendly Hershey Lodge. Smashing Pumpkins isn’t just a rock band — it’s also what you do at the weird and wacky Pumpkin Madness Festival at Cherry Crest Adventure Farm in Lancaster County. Organizers invite you to demolish your shriveling Halloween pumpkins by smashing, throwing and bowling them. Pumpkin bowling? Yep, it’s a thing, along with Pumpkin Putt-Putt, Pumpkin chucking and, of course, food made from pumpkins. Stay for fireworks after dark and the grand finale, a pumpkin drop. 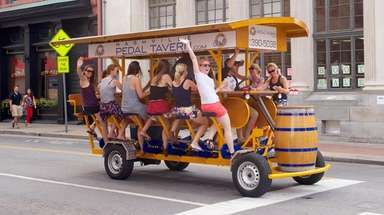 Check out discoverlancaster.com for more to do and where to stay.